This is it. The day has come for me to leave Canada for a year of traveling, volunteering and discovering. I’ve been preparing for that trip for months now, but it just really hit me this week when I started saying my goodbyes. It’s not the first time I’m leaving home for a year, but I’m a very emotional and passionate person so seeing and hugging my family and friends one last time before my big departure wasn’t easy… Kleenex please! 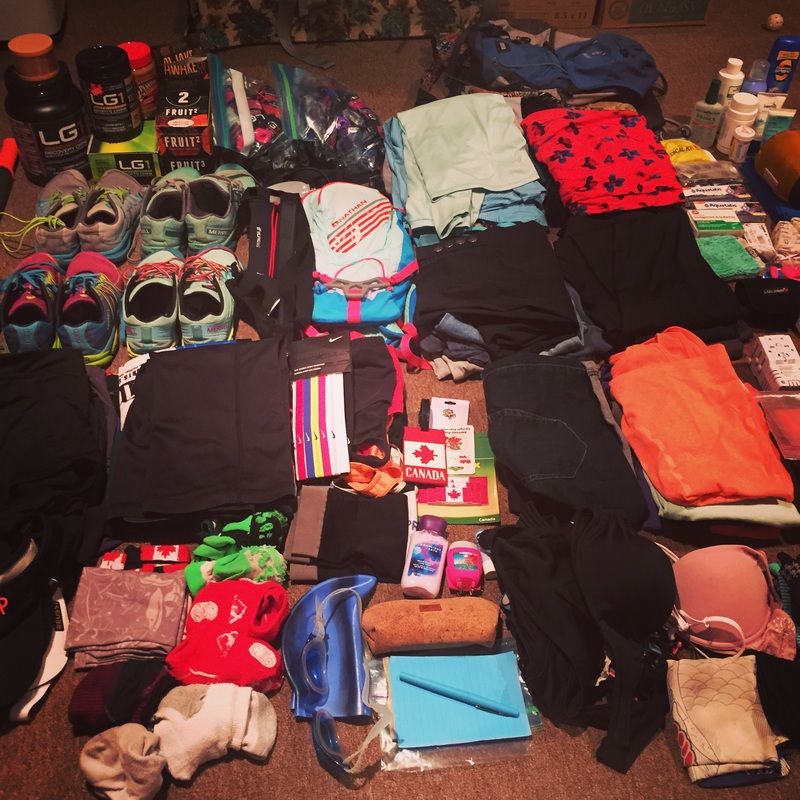 Packing was also a tough task. Deciding which one pair of jeans and sweater you want to wear for a year is a complex decision process! I’m glad my airline was allowing me two luggages: my traveling backpack and a duffle bag (very!) 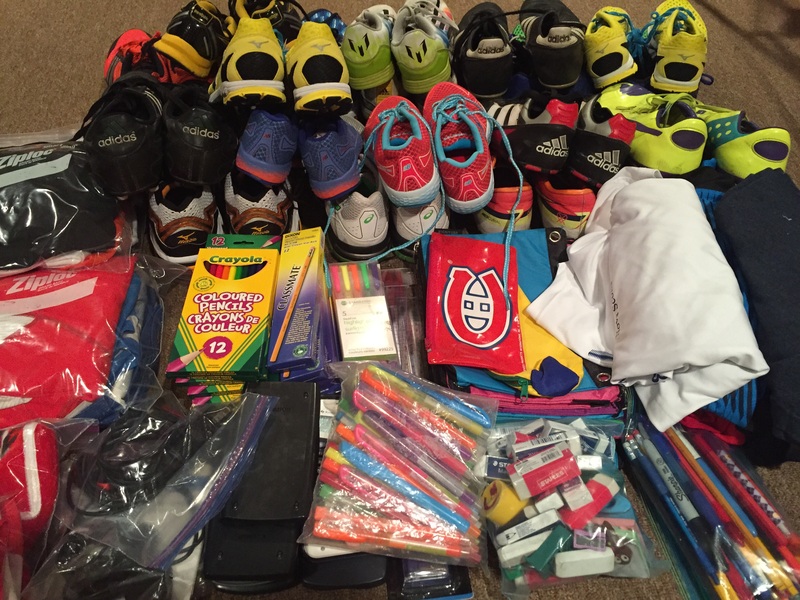 packed with running shoes, clothing and nutrition for myself and my fellow Gambian runners, but also school material (pencils, erasers, sharpeners, calculators) that I collected at the end of the past school year. I’ll be handing those to the children I’ll meet throughout my run across The Gambia. I’m sure these will be special moments. So here I am, at the airport, waiting to board my plane that will fly me to a new chapter of my life. I can’t wait to meet my incredible support crew that is waiting for me in Banjul: Abdou, Pa, Yankuba and Modou. We’ve been in touch for awhile now, I’m very excited to finally meet everyone in person! 1 Response to Aurevoir Canada! 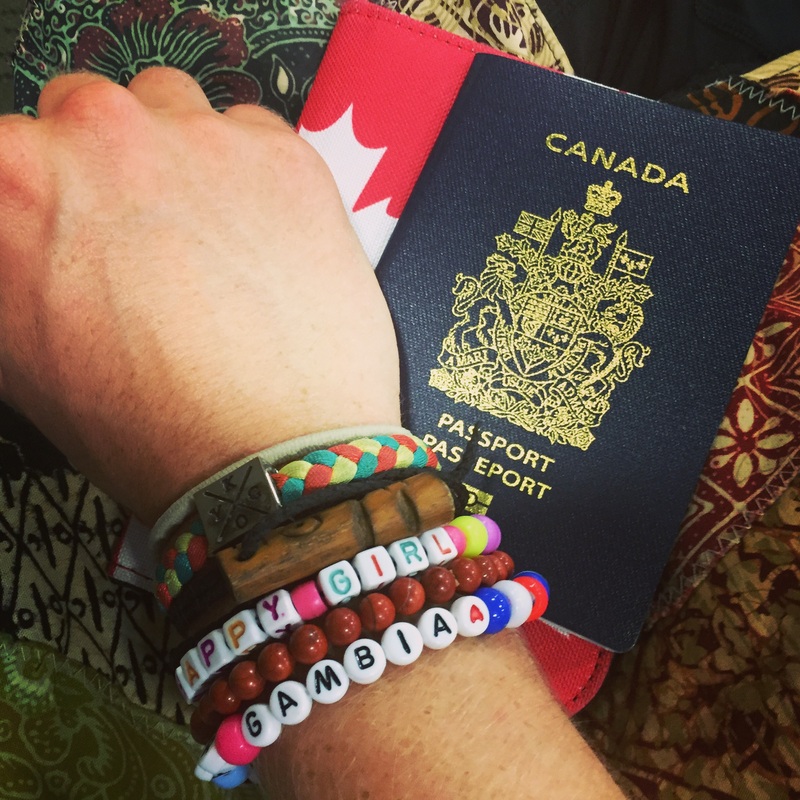 It was a treat meeting you on the flight into Banjul, hearing about your plans, and now reading this blog and the novascotiagambia.ca website. Choosing to invest your time and talents in this way will leave its enduring benefits in your own life and the lives of others. All the best as you orient yourself very briefly to a whole new world, and begin your run. Along with many others, I’ll enjoy following your progress.